This Saturday and Sunday features the FA Cup Third Round Proper with Premier League teams entering the action. I have added predictions for all of the matches, and will provide brief previews for matches involving EPL teams. The third round features several Premier League clubs matched up against one another including Manchester United v Swansea City and Newcastle United v Cardiff City, but the biggest of the round is certainly the North London Derby between Arsenal v Tottenham Hotspur. Predicting the FA Cup is always a wary task akin to filling out an NCAA bracket. You never know which lower league team is going to be the Cinderella story of the tournament and upset everyone in their path. With so many different teams being featured there are bound to be upsets. In many cases it becomes a matter of which team wants it more. There are many times where a lower league team is taken for granted and is able to surprise the bigger club and come away with a draw or even a win. Just a reminder that draws will result in replays to be played at a later date and as a reverse fixture. Here are my predictions based on looking over statistics from the various teams involved including league standings and past results. I would expect that the bad weather through the past few days will certainly affect matches. Matches at lower league football grounds could be especially interesting with pitches becoming waterlogged and affecting play. It is also a possibility that some matches may be postponed. Two matches were already moved to Wednesday. For information on betting on matches head over to the Betting Links page. This includes options for those of us living in the United States. Blackburn v Manchester City: The first match of the weekend is one that also features a Premier League team. Manchester City is certainly favorites and I foresee them resting several players since they also have a midweek Capital One Cup semifinal. Blackburn do stand a chance of getting a result despite the overwhelming odds against them. Rovers could be one of those teams that benefits from the weather. Everton v Queens Park Rangers: In their last four meetings (all in the EPL) Everton have one win, two draws and QPR have a win. QPR come into the match sitting in third in the Championship while Everton are fifth in the Premier League at the moment. I’m predicting a 2-1 Everton win, but this is one of those matches that really could go either way. Aston Villa v Sheffield United: Villa’s manager, Paul Lambert, has come out and already stated that the FA Cup is not a priority for Aston Villa this season. He will likely rest a large number of players and field a weakened team. This could be one of those matches to put a bet on for a draw or even a Sheffield United win. Odds for a draw are between 4.30-4.57 while a Sheffield United win is at 6.16-7.00. I’m predicting a Sheffield United upset. Norwich City v Fulham: While Norwich has not won any of their last six meetings, I believe this is their chance to do just that. Fulham looked awful in their New Year’s Day 0-6 drubbing and I have a hard time seeing them bounce back quickly from that. 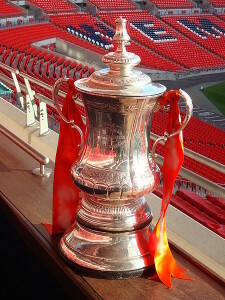 However, if there is any match that can lift a team, it would be in the FA Cup. Stoke City v Leicester City: Leicester is currently top of the Championship and playing well recently. They will push Stoke hard and make it a difficult match. I’m predicting a very close Stoke City win, but would not be surprised by a scrappy Leicester result. In the last six meetings both teams have won two, drawn two and lost two. West Bromwich Albion v Crystal Palace: West Brom has strung together some half decent results lately and a good result in the FA Cup could really help them kick on in the Premier League. Crystal Palace could say the same thing and will be hoping that they can get at least a draw. Tony Pulis has made Crystal Palace a team that is hard to break down and can get themselves a goal here and there. I would be more likely to pick Palace for a win if it weren’t for their horrible goal scoring record. I think a draw is the most likely result. Middlesbrough v Hull City: Both teams are in the middle of their respective tables, but Hull City certainly has the edge in this one. Not only are they playing in the Premier League, but they have been playing well. They will likely dominate the midfield and will put out a strong team. I’m predicting a Hull City win for this one. Newcastle United v Cardiff City: This is one match that I’m wary of. Cardiff City have a new manager to impress and are coming off of a very hard fought loss to the Premier League leaders in which they really pushed them. Meanwhile, Newcastle are coming in after a very disappointing loss. The problem for Cardiff is that they have struggled to score goals. Newcastle have had their own struggles, especially in matches in which they mostly dominate possession. I am predicting a Newcastle win because I think they have the ability to overcome Cardiff with a late goal. Southampton v Burnley: The Saints cannot afford to underestimate Burnley who are currently second in the Championship. Burnley have a talented squad that could easily pull off an upset. Southampton has looked good all season and should be able to get a win if they can stick to their game plan. I’m predicting a Southampton win, provided they put out a strong squad, which they should do. Arsenal v Tottenham Hotspur: This is certainly the tie of the round. Tottenham are flying high following their 2-1 win away to Manchester United have what it takes to come through with a win on Saturday. I had initially given the edge to Arsenal, but they have a number of injury concerns and this is a very short turn around for them. They looked tired for most of their match against Cardiff while Tottenham looked strong in their New Year’s Day match. This one could easily end up with a draw, but with the motivation that Sherwood has put into this Spurs side, I think they will pull off a win. Nottingham Forest v West Ham United: I’m predicting a draw between these two clubs, but with an edge towards Nottingham Forest. West Ham has a midweek Capital One Semifinal against Manchester City and could be more focused on that one. They will also be without their captain, Kevin Nolan, thanks to his moment of madness red card. West Ham is a team that is tottering and I have a hard time seeing them getting a win, even though it would help them immensely. Sunderland v Carlisle: I think that if this were an away match for Sunderland then they would not be able to get a win, but as the home team I am predicting a win for them. Carlisle are in the bottom half of the League One table and have struggled lately. What they do have in their favor is the fact that Sunderland has a midweek Capital One Semifinal match that they will be looking forward to. Derby County v Chelsea: I see Chelsea as one of the favorites to win the FA Cup this season and believe that Mourinho has this trophy very high on his priority list this season. Being an away match I believe he will set up his team rather defensively and look to get a goal through a counter attack. I also feel that he would be okay with an away draw. In the end I’m predicting a Chelsea 2-0 win, they have far too much quality to drop this one. Liverpool v Oldham: This is the third season in a row in which these two clubs have met each other in the FA Cup. While Liverpool took the first match 5-2 two years ago, Oldham had the better of Liverpool at home last year with their 3-2 win. This time around Liverpool will not be so complacent and will be playing at home where the pitch will not be such an issue. Liverpool should come through with an easy win. Manchester United v Swansea City: The final match of the weekend’s third round FA Cup matches features two Premier League clubs. This is going to be a close match that could go either way. Swansea’s difficulties with score goals more regularly does limit them, but this could be their chance to get going. United has shown a weakness in allowing goals against teams who do well passing and have a quick counter attack. If Swansea can actually get their counter attack moving quicker, they have a great chance of getting a draw or win. With that said, I am predicting a Manchester United win. They do have the quality and should have the desire to push on for a win.